As we enter 2018, NYSCF is taking a moment to look back on the milestones of 2017. With your support, we accelerated our research, began new initiatives, moved our headquarters to a new home, and brought stem cell leaders from around the world together to discuss ideas for the future of the field. Check out our top highlights from 2017 below! The second advancement is robotic patch clamping—a method for monitoring the activity of a selected neuron in the brain. 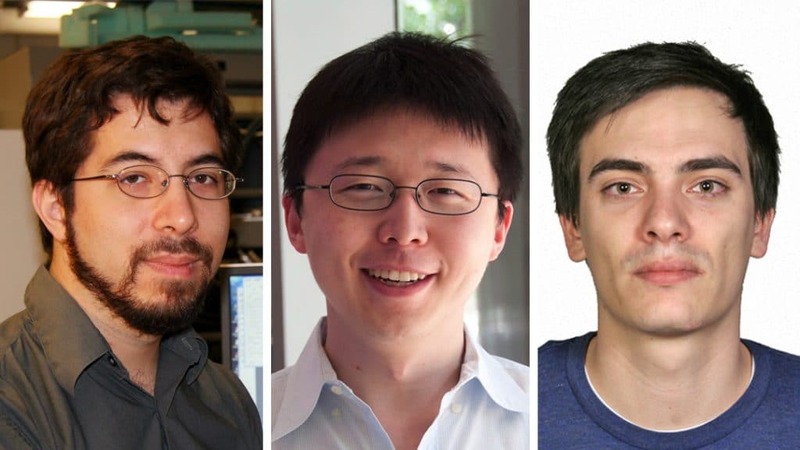 This breakthrough was pioneered by MIT professor and NYSCF—Robertson Neuroscience Investigator Ed Boyden, PhD. Patch clamping is typically done manually, and only a small number people in the world can perform it. Automating the process will allow more labs to use this technique. Read more about it here. Last spring, we moved our global headquarters to a new home in Midtown Manhattan. 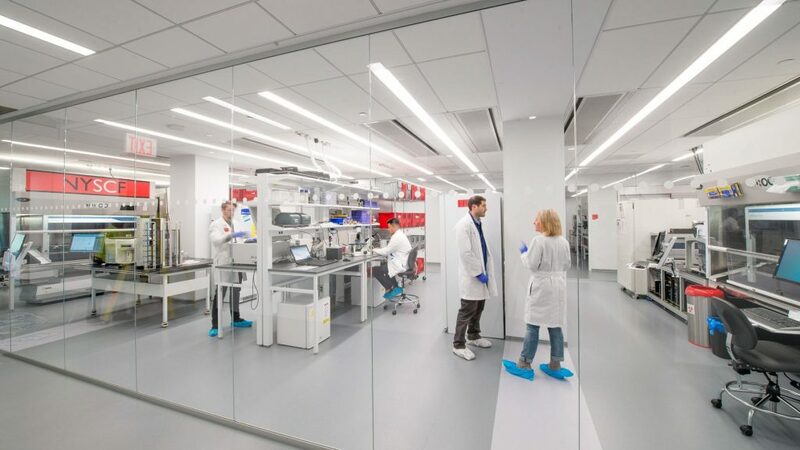 Our state-of-the-art facility includes a laboratory equipped with cutting-edge technologies as well as a lecture space where top researchers and leaders are invited to share their work with others dedicated to accelerating cures for major diseases. Read more about it here! Microglia, the immune cells of the brain, are thought to play a role in many disorders including Alzheimer’s disease, Parkinson’s disease, and multiple sclerosis. However, it has traditionally been difficult to obtain microglia from the human nervous system. 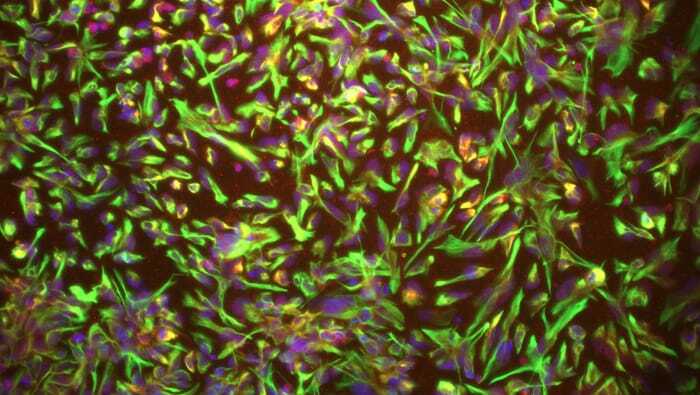 This year, scientists at the NYSCF Research Institute established a protocol for turning stem cells into microglia, allowing us to investigate the role microglia play in neurological disease. Read more about it here. NYSCF Research Institute scientists and their collaborators at Mt. Sinai’s Icahn School of Medicine successfully refined a technique to turn skin cells from patients with mild cognitive impairment (the beginning sign of Alzheimer’s) into the brain cells that degenerate first in Alzheimer’s disease. 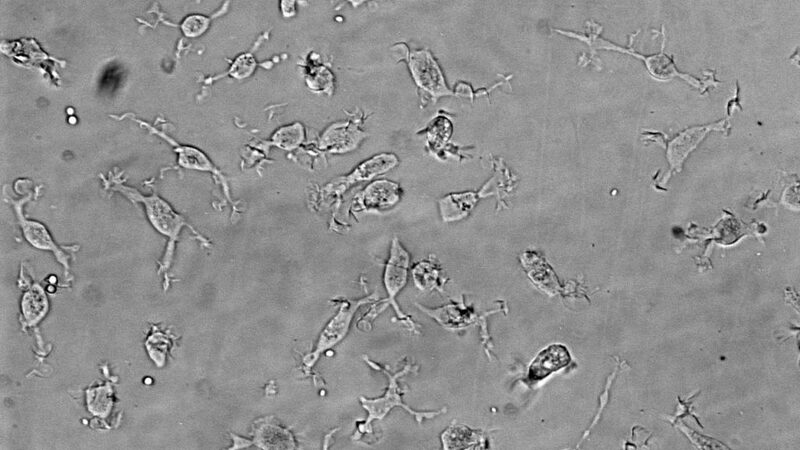 This is important because if we can recreate these cells, we can study how they behave in the early stages of the disease and look for ways to correct for their dysfunction. Read more about it here. This year, NYSCF hosted several meetings that allowed stem cell leaders to convene and discuss research outside the lab. 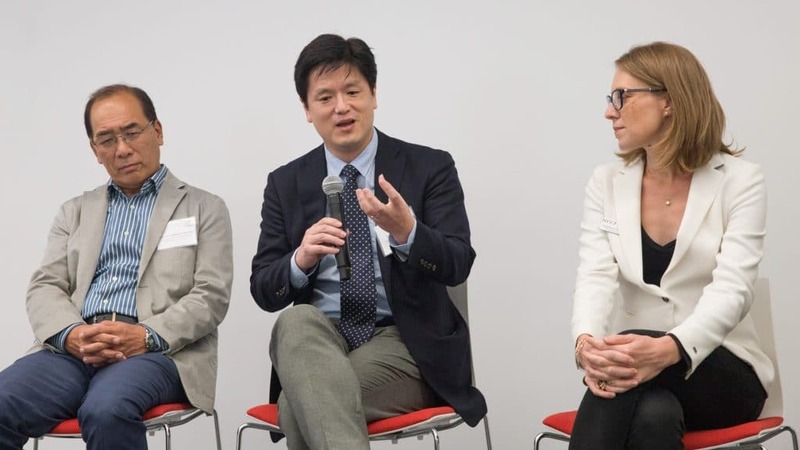 In September, NYSCF co-hosted the Tokyo—New York Stem Cell Summit with the University of Tokyo. This event allowed attendees to discuss recent research developments and how to enhance the field of stem cell research globally. Read more about it here. NYSCF also opened its doors to the regenerative medicine community for a meeting co-hosted with the Chan-Zuckerberg Initiative. This initiative, founded by Mark Zuckerberg and Priscilla Chan in 2015, supports promising biomedical research by investing in bold ideas. The meeting allowed attendees to share their own bold ideas and discuss health and science research with others committed to making a difference in the field. We wish you a happy new year and look forward to what 2018 has in store for stem cell research!